Testing the new Russian unmanned bus will begin in the spring of 2019 in one of the parks in Ryazan. The machine will be equipped with an electric motor and will be able to carry passengers at speeds up to 25 km / h. In the passenger version, the drone will be equipped with an open cabin, designed to carry four people through the territories of closed park areas in the warm season. 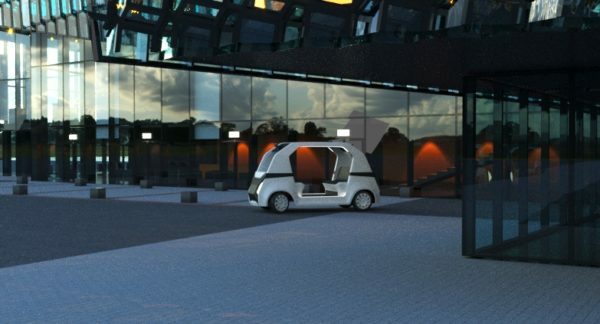 “Like a regular bus, it is intended for movement along a certain route, which it memorizes, driving it 2-3 times under the control of a dispatcher,” said Vitaly Savelyev, general director of Avrora Robotics. The data obtained from the sensors and cameras, get into the computer system, which processes them and allows you to quickly change the control mode of the vehicle, depending on the traffic situation. Despite the autonomy of the system, it will still be monitored for its work from the control center — it is assumed that one specialist will take control of up to 10 such buses and, if necessary, will be able to intervene in the situation. market. Thus, it has every chance of becoming the first Russian bus in its segment.